Nokia N1 - Full Specifications, Features And Price - The Tech Evangelist! Nokia N1 - Full Specifications, Features And Price - The Tech Evangelist! 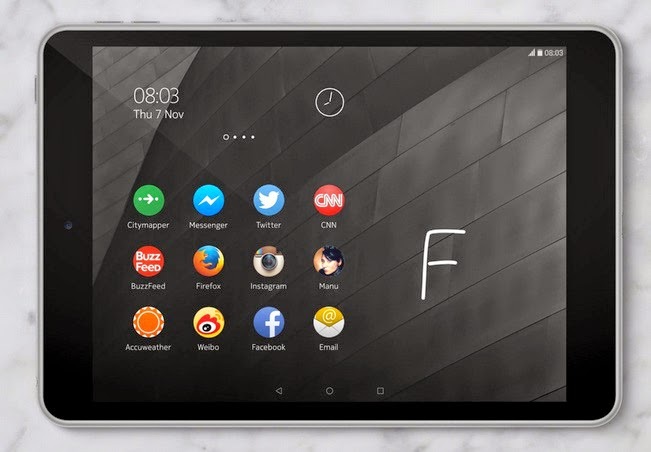 Nokia has done noble by lunching a device that runs the Android 5.0 Lollipop, Nokia N1 is the first Nokia branded android tablet which was announced 2014, November and the tablet runs the latest android operating system, which is, the . The Nokia N1 tablet looks like an iPad mini, and it's an all-aluminum tablet that weights 318 g (11.22 oz) with a 200.7 x 138.6 x 6.9 mm (7.90 x 5.46 x 0.27 in) dimension. The Nokia N1 android tablet comes with the predictive Nokia Z launcher which is a home screen that makes navigation simple. The Nokia N1 Tablet is also among the first devices with the reversible USB connector.